I’m even capitalizing the C to maintain the spiritual peace even though the Christians sold the holiday from the distant Druids of Stonehenge. Meán Geimhridh was celebrated in the Bronze Age. 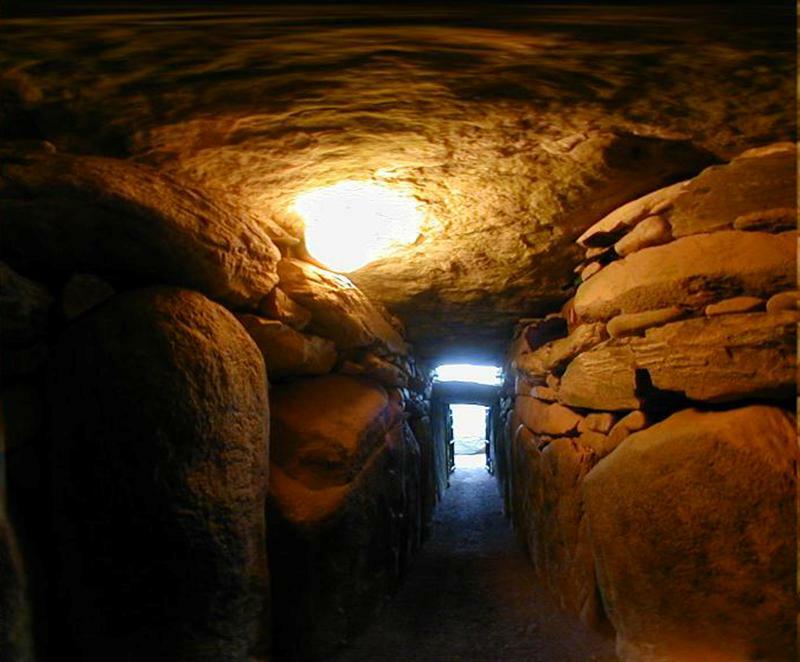 The rituals from over five thousand years ago have been lost for ages, however every December the sun signals the winter solstice at the Newgrange burial tomb. For seventeen minutes the rays of the dawn strike through a hole in the roof to light the interior of the Neolithic monument. Farmers slaughtered their livestock in preparation for a long winter and more importantly wine, beer, mead, and other spirits reached maturity in late-December. The pagans had a very happy Meán Geimhridh. Julius Caesar adapted his Julian calendar to mark December 25 as the winter solstice and later the Christians adopted this heathen feast for their own religion. Meán Geimhridh was all about the sun and earth and beer and the eternity of the cosmos. So milla failte my loving son Fenway in Thailand. I gave him a good Xmas. This entry was written by Peter, posted on December 21, 2018 at 9:26 am, filed under family, holiday, ireland, Nature, Traditions and tagged celts, ireland, MeÃ¡n Geimhridh, winter solstice. Bookmark the permalink. Follow any comments here with the RSS feed for this post. Post a comment or leave a trackback: Trackback URL.